Mar. 2019 … | Researcher Assistant at University of Aveiro (CEEC). Jan. 2019 - Mar. 2019 | Researcher Assistant at University of Aveiro (Norma Transitória). Dec. 2014 - Dec. 2018| Pos-doc Research Fellow FCT. CESAM, University of Aveiro. Jun. 2013 - Nov. 2014 | Pos-doc Research Fellow. CESAM, University of Aveiro. Projects: CASCADE, RECARE. Jun. 2009 - May. 2013 | PhD. Research Fellow FCT. CESAM, University of Aveiro. Jun. 2008 - May. 2009 | PhD. Research Fellow UA. CESAM, University of Aveiro. Mar. 2002 - May. 2008 | Research Fellow. CESAM, University of Aveiro. Projects: CLIMED, e-ECORISK, INUNDA, TRADWATER. 2017/2018 (2nd Sem.) | Lecturer, University of Aveiro (PT). Lecture: Public Policies and Risk Management Tools. Doctoral Programme of Territory, Risk and Public Policies. 2013/2014 (2nd Sem.) | Lecturer, University of Aveiro (PT). Lecture: Physic and Human Geography of Portugal. 1st Cycle of Basic Education Degree. 2010/2011 (1st Sem.) | Lecturer, Lusófona Univeristy of Oporto (PT). Lecture: Urban Sociology. 1st Cycle of Urbanism and Spatial Planning. 2004/2005 & 2005/2006 | Assistant, University of Aveiro (PT). Lecture: Introduction to the social sciences methods; Environmental sociology. Public Administration; Economy; Management; Management and Planning of Tourism; Urban and Regional Planning; Communication and Information Technologies. 2002/2003 & 2003/2004 (2nd Sem.) | Assistant, University of Aveiro (PT). Lecture: Introduction to the social sciences methods. Courses: Public Administration; Economy; Management; Management and Planning of Tourism; Urban and Regional Planning; Communication and Information Technologies. 11-15 Jul. 2011 | Summer school ‘Participatory forest management as practice and performance’, Forest and Nature Conservation Policy Group, Wageningen School of Social Sciences (WASS), Wageningen (NL). 31 Mar.-3 Abr. 2008 | DESIRE WB-3 training workshop ‘Defining potential protection and mitigation strategies, selection and decision support’. Centre for Development and Environment (CDE), University of Bern (CH), in Bari (IT). 1-5 Out. 2007 | DESIRE WB-3 training course ‘Assessment of Sustainable Land Management options with stakeholder involvement’. Centre for Development and Environment (CDE), University of Bern (CH), in Murcia (SP). 18-21 Jul. 2011 | Seventh Summer Institute on Global Environmental Issues 2005. Fundação Luso-Americana, Lisbon (PT). 2018 | Rehabilitation of the Matas do Litoral programme (Topic 5. Public participation and awareness). Member of the Scientific Committee. Coordination: Margarida Tomé, Instituto Superior de Agronomia (PT). Funding: Cooperation agreement between ICNF, INIAV and institutions from the National System of Research and Innovation. 2007-2009 | Agenda 21 Local of Oliveira do Bairro. Team member. 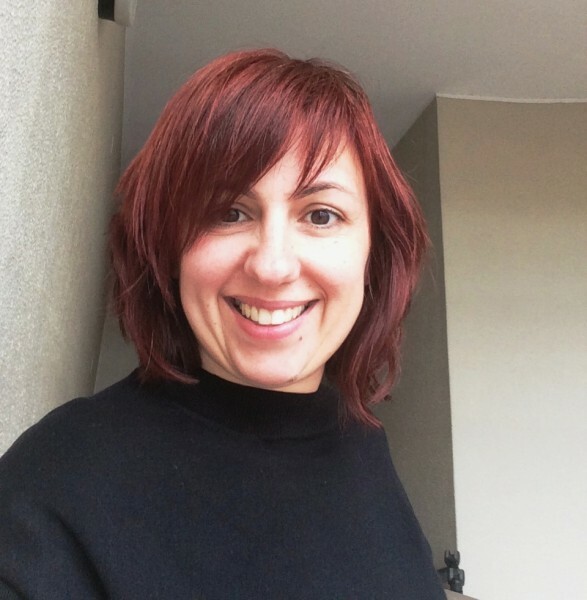 Coordination: Celeste Coelho, University of Aveiro (PT). Funding: Câmara Municipal de Oliveira do Bairro (PT). 2006 | Secur-Ria project: Safety in the Ria de Aveiro region. Team member (Topic: flood risk). Coordination: Celeste Coelho, University of Aveiro (PT). Funding: AMRIA, Associação de Municípios da Ria de Aveiro (PT). 2004 | Parque Natural do Alvão Management Plan. Team member (Topic: socioeconomic). Coordination: Celeste Coelho, University of Aveiro (PT). Funding: Instituto de Conservação da Natureza (PT). 1-6 Oct. 2017 | Member of the Organizing Committee of the Autumn School SUSPLACE, in the scope of Marie Skłodowska-Curie Innovative Training Networks (ITN) SUSPLACE. University of Aveiro, Aveiro (PT). 28-29 Sep. 2015 | Member of the Scientific Commission of the International Conference ‘Meanings of Rural between social representations, consumptions and rural development strategies’. University of Aveiro, Aveiro (PT). 15-19 Oct. 2013 | Co-coordenation of the panel – Eco-efficiency, participation and sustainability, in ESADR2013 Congress – Feeding minds, overcoming the global crisis. University of Évora, Évora (PT). 19-21 Set. 2013 | Member of the Organizing Committee of the National Conference of ForeStake project – Participar no future e no cuidar das florestas Portuguesas: um repto para todos?. University of Aveiro, Aveiro (PT). 4-6 Fev. 2010 | Member of the Organizing Committee of the IV Rural Studies Congress ‘Mundos Rurais em Portugal – Múltiplas Visões, Múltiplos Futuros’. University of Aveiro, Aveiro (PT). 30 Jun.-4Jul. 2008 | Member of the Organizing Committee of the Final Conference of the COST 634 Action- On- and Off-site Environmental Impacts of Runoff and Erosion. University of Aveiro, Aveiro (PT). 16 Jun. 2006 | Organization of the Seminar ‘Comunicar o risco – O papel dos cientistas e dos mass media na construção social dos riscos naturais e tecnológicos’. University of Aveiro, Aveiro (PT). 29 Nov. 2017 | Third participatory workshop RECARE ‘Stakeholder valuation of ecosystem services’. União de Freguesias de São João do Monte e Mosteirinho, Tondela (PT). 28 Nov. 2017 | Demonstration Action ‘Efficiency of the soil conservation measures tested under RECARE project’. Semide, Miranda do Corvo (PT). 27 May. 2017 | Workshop AFVB 2017 ‘Política Florestal e poder local: solução ou problema?’ Escola Superior Marques de Castilho, Águeda (PT). 3 Feb. 2017 | Workshop 1 of SoilCare project: First meeting with the stakeholder board. Escola Superior Agrária de Coimbra, Coimbra (PT). 15 Dec. 2016 | Final Workshop of CASCADE project ‘CASCADE input: Principles and recommendations for post-fire management in the Várzea area (Calde, Viseu)’. Junta de Freguesia de Calde, Viseu (PT). 14 Jul. 2016 | Demonstration Action on post-fire interventions: ‘Forest residue mulching, Cut and removal of burnt wood material and post-fire contour-ploughing’, under the scope of RECARE project. Semide, Miranda do Corvo (PT). 25 Sep. 2015 | Demonstration Action: ‘Forest residue mulching’ under RECARE project. Semide, Miranda do Corvo (PT). 29 Jun. 2015 | Second participatory workshop RECARE ‘Selection of practices to be tested and evaluated’. União de Freguesias de São João do Monte e Mosteirinho, Tondela (PT). 9-10 Feb. 2015 | First participatory workshop RECARE ‘Participatory identification of measures to combat soil threats in Europe’. União de Freguesias de São João do Monte e Mosteirinho, Tondela (PT). 7 Jan. 2015 | Focus Group CASCADE ‘Reflection on catastrophic shifts in drylands’. Junta de Freguesia de Calde, Viseu (PT). 20 Apr. 2013 | ForeStake Workshop ‘O papel dos agentes locais na Gestão Sustentável da Floresta’. Câmara Municipal de Mação, Mação (PT). 20 Sep. 2011 | Third DESIRE workshop. Escola Superior Agrária de Coimbra, Coimbra (PT). 25 Sep. 2010 | Organization of a Local Seminar ‘Remediação do Solo e da Água após incêndio – Projeto RECOVER’. Junta de Freguesia de Pessegueiro do Vouga, Sever do Vouga (PT). 29 Sep. 2009 | Workshop ‘Recuperação de Áreas Ardidas’, University of Aveiro, Aveiro (PT). 9 May. 2009 | Organization of a Local Seminar ‘Água e saber tradicional – Resultados do projeto TRADWATER’. Junta de Freguesia de São João do Monte, Tondela (PT). 19-20 Feb. 2009 | Second DESIRE workshop ‘Selection and decision on prevention and mitigation strategies to be implemented’. Câmara Municipal de Góis, Góis, (PT). 12 Dec. 2008 | Public presentation of Agenda 21 Local of Oliveira do Bairro. Câmara Municipal de Oliveira do Bairro, Oliveira do Bairro (PT). 31 May. 2008 | II Forum of the Agenda 21 Local de Oliveira do Bairro ‘Estamos a construir um futuro sustentável…’. Câmara Municipal de Oliveira do Bairro, Oliveira do Bairro (PT). 14-15 Mar. 2008 | First DESIRE workshop ‘Land degradation and desertification – existing and potential prevention and conservation strategies’. Câmara Municipal de Mação, Mação (PT). 24 Nov. 2007 | II Forum of Agenda 21 Local de Oliveira do Bairro ‘Estamos a construir um futuro sustentável…’. Junta de Freguesia do Troviscal, Oliveira do Bairro (PT). 10 Nov. 2007 | I Forum da Agenda 21 Local de Oliveira do Bairro ‘Estamos a construir um futuro sustentável…’. Câmara Municipal de Oliveira do Bairro, Oliveira do Bairro (PT). 2 Jul. 2005 | Organization of the Seminar ‘Flood risk in urban areas – impact mitigation’, no âmbito do projeto INUNDA. Câmara Municipal de Águeda, Águeda (PT). 13 Jul. 2005 | Workshop ‘Necessidades de conhecimento e de formação em recuperação de áreas ardidas’. Universidade de Aveiro, Aveiro (PT).